Practicing yoga is a gift that I give myself almost every day. It has become a ritual that is comforting to me and allows me to feel peaceful even on days when my life isn't going quite the way I would like it to. 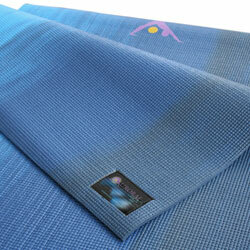 A great yoga mat is key to having the best experience possible from your yoga practice. 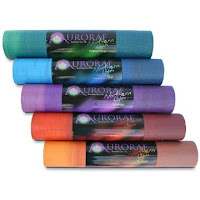 Aurorae Yoga is a company that sells yoga mats, props and accessories. Started over ten years ago by yoga lover Dennis Ingui, his company's yoga mats are the best reviewed and number one rated on Amazon. com. I was very excited to receive the Northern Lights, Sky colored yoga mat for review. These mats are extra long, extra thick, and have a Golden Sun Focal Icon. They are also eco-safe, biodegradable and free from phthalates. I love this mat! I can honestly say that this is the best mat I have ever used in my six years of practicing yoga. Beauty, function, and comfort are all present in my new Northern Lights mat. I appreciate its extra length and love that it is slip resistant, even in some of the more challenging poses. I am extremely happy with this new mat, and it adds pleasure to my commitment to yoga. 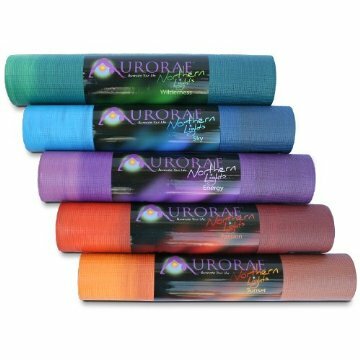 If you are considering buying a new yoga mat, or maybe buying one for a yoga loving friend, then go to AuroraeYoga.com and check out their mats. They come in many different and spirit enhancing colors. I am so happy to have discovered Aurorae Yoga and I'm sure you will be too! 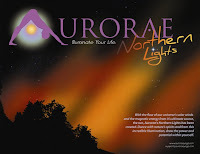 You can learn more about Aurorae Yoga by following them on Twitter and being a fan on Facebook. *I was not paid for our review. The opinions are 100% mine and may vary from others. I was provided the yoga mat mentioned in this post to review for free from the PR company that represents them.